With the Leica Rugby 600 Series, Leica Geosystems further expands its strong portfolio of rotating lasers. All of the five models of the Rugby 600 Series offer a professional solution with an outstanding price-to-quality-ratio allowing quick leveling and aligning for general construction and interior applications eliminating costly errors, rework and downtime. 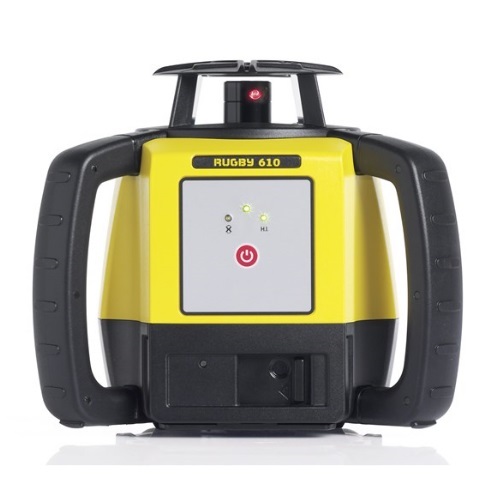 The Rugby 600 Series lasers include the customer care package "PROTECT by Leica Geosystems", which offers a life time warranty and a three year no cost period. The Rugby 600 Series lasers are built for the construction site - water and dust-proof, extremely durable housing and perform to the highest standards in all conditions. Dimensions: 8-3/4" X 9-3/8" x 7-9/16"